Scotland may be a small country, but it’s also diverse and we recognise that a one-size-fits-all approach to the delivery of fire and rescue provision is unlikely to meet the needs of all our communities. That’s why front-line services are delivered locally from three strategically positioned hubs based in the North, West and East of the country. 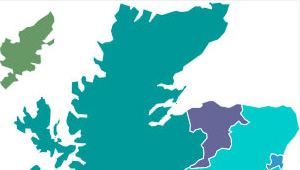 There are three Deputy Assistant Chief Officers working as Heads of Service Delivery across the North, West and East of Scotland. To achieve this, they work closely with local senior officers, local authorities and strategic partners to support the Scottish Fire and Rescue Service’s key objectives of creating safer communities for everyone who lives, works and travels in Scotland. The North of Scotland is home to some of the UK's most remote areas, as well as the bustling cities of Aberdeen, Dundee, Inverness and Perth. Our crews in the North work hard to protect the 1.2 million people living in the area, working from 164 fire stations spread from Orkney, Shetland and the Western Isles in the north to Perth and Kinross in the south. 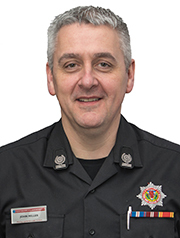 Deputy Assistant Chief Officer David Farries leads service delivery in the North area. Previously David was the Local Senior Officer for Midlothian, East Lothian and the Scottish Borders. Our West area is one of the busiest parts of the country. 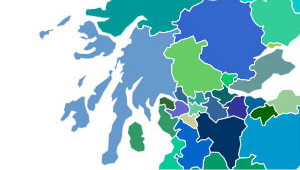 The 2.4 million people living here are spread over a varied geography that includes the country’s largest city, Glasgow, as well as the remote island communities of Argyll. Our crews in the West are based at 127 fire stations, from the island of Coll to Drummore in the south. Deputy Assistant Chief Officer John Miller leads service delivery in the West area. The East serves a population of 1.6 million people, based across a wide ranging geography of some 7,700 square kilometres. Our East area crews are based at 65 fire stations. 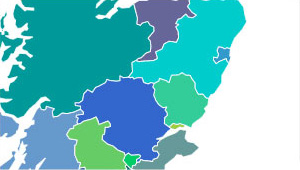 The area includes Scotland’s capital city, Edinburgh and the areas of Clackmannanshire, Stirling, Falkirk, West and East Lothian, Midlothian, Scottish Borders and Fife.